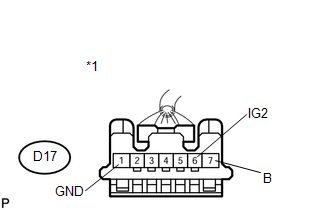 The steering lock ECU (steering lock actuator assembly) receives power from the IG2 relay. 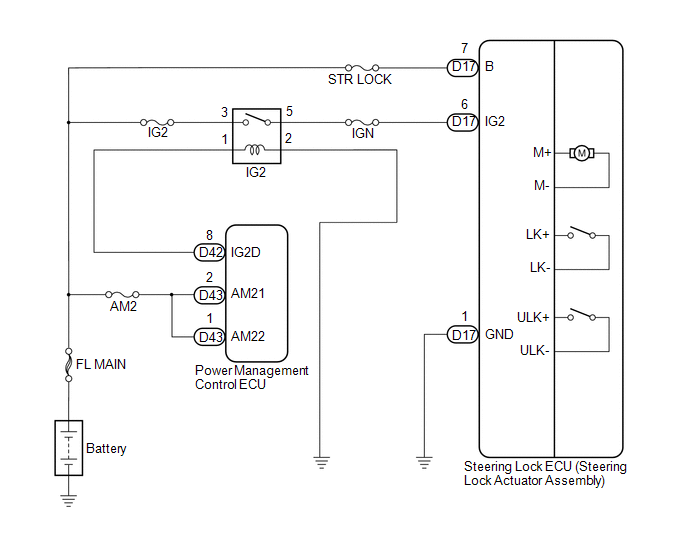 When the voltage value indicated by the IG signal from the certification ECU (smart key ECU assembly) equals to the voltage that is applied to the steering lock ECU (steering lock actuator assembly), the steering wheel will be unlocked. The steering lock ECU (steering lock actuator assembly) will not lock the steering wheel when power from the IG2 relay is present. This prevents the steering from being locked while the vehicle is moving. Different information is obtained from IG2 signals received directly from the IG2 circuit, and from IG2 signals sent via LIN communication for 1 second. 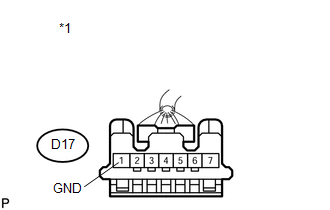 (a) Remove the IG2 relay from the engine room junction block and relay block. 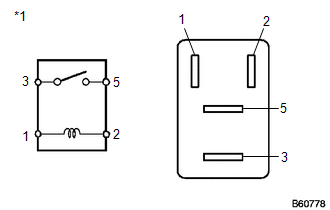 *: This measurement is performed with the engine switch off to check for a battery voltage short in the IG2 circuit.